In the last few weeks the Front National has succeeded in winning seats in the Senate, France’s upper chamber, for the first time. And in Sweden – yes Sweden – the Far Right has gained 13% of the vote and now has 49 parliamentary seats. This adds to the strong showing for Far Right and xenophobic political parties which ran right across the continent in May’s European elections. At home, the BBC has highlighted the actions of ISIS in Iraq/Syria and the media has focussed on British Muslim involvement in sexual grooming cases in Rotherham. Together, these are ‘fuelling far right’ growth. This analysis indicates the fresh oxygen these developments have supplied to the far-right EDL and to the clear rise in Islamophobic attacks charted by monitoring group TELL MAMA. The British Prime Minister has responded to new concerns about extremism in the Muslim community with proposals to ban more organisations – though it remains to be seen whether attempting to outlaw such views will be counter-productive. But no one seems ready to pose the urgent question of ‘what should be done to expose and counter far-right, racist ideologies that attracts some white young people?’ The dangers of such attractions have been highlighted both In Britain and elsewhere in Europe (most graphically by Breivik’s massacre in Norway) by so-called ‘lone wolf’ racist terrorists, an accurate term in that they attack alone but highly misleading in that they have been networked to and emerged from strong neo-Nazi/racist ideological movements. 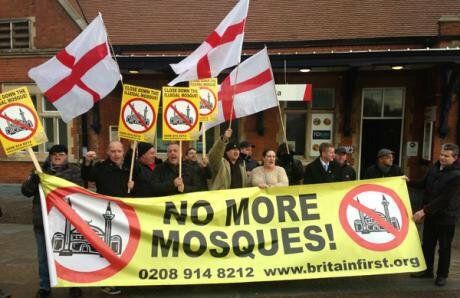 Britain’s ‘Prevent’ strategy aimed to counter attractions towards extreme terrorist ideologies from its inception in 2006 but was persistently criticised for ignoring far-right extremism and focussing solely on Islamist extremism. The 2011 Prevent review responded by broadening the strategy’s focus, an acknowledgement of practice already developed in Wales, where far-right extremism was seen as the most pressing threat. The challenge for Prevent, though, is how can young people be steered away from far-right ideologies that ‘explain’ problems in terms of immigration and the supposed Islamification of society? Here, we believe that the Wales-based ‘Think Project’ offers valuable lessons for both the wider UK and other EU states, lessons not only helpful for countering the far-right but also for doing preventative anti-extremism work in general with young people. Tackling Far Right and religious extremism are not alternative strategies – they are surely both necessary on a proportionate basis. And, as the ideologies clearly feed off each other, they do have to be tackled at the same time. How do we understand growing sympathy for far-right and xenophobic ideologies and parties? It is clear that globalisation and de-industrialisation have brought significant changes to the lives and identities of many white, particularly working class, communities across Western Europe (as it has for many BME communities also). This combined with growing ethnic diversity, heightened immigration post the 2004 expansion of the EU and the rise of Islamist extremism, both at home and abroad, have all combined to create great anxiety and fear for some white people, particularly those from economically marginalised communities hit hard by globalisation and austerity. In seeking to engage with such fears and resulting attractions towards extremism, it is important that we learn the lessons from the past as well as studying current successes such as the Think Project. Reactions of extreme racism and prejudice towards minorities amongst white Europeans are, of course, nothing new, and were the reaction of a significant number to post-war, non-white immigration. In response, part of the development of multiculturalist policies and practice in Britain were programmes of ‘anti-racist education’ and the very mixed experience of such work offers valuable lessons for current anti-extremism challenges. Such anti-racism educational programmes with young people in schools and youth projects gained a positive response from many but undoubtedly provoked a ‘white backlash’ from a significant minority. This partly stemmed from the ‘clumsy implementation’ identified by the 1986 Burnage Inquiry of a racist murder in a Manchester school, but also from the perception of some white young people that such programmes were negatively judging their language, culture and entire (often working class) communities. Educators understood their role as sanctioning and criticising ‘racist’ language and behaviour, with the result that such attitudes were simply buried and hidden from those in authority, rather than openly debated and analysed through educational processes that would make change and re-consideration possible. Academic research showed that many educators lacked confidence and felt ill-equipped to engage in open dialogue with young people around racist feelings and beliefs. More recent research has identified similar limitations around the implementation of the Prevent strategy. This above context explains why we are involved in highlighting and advocating the work of the Think Project. Learning from this troubled history of anti-racist work, the Think Project takes a very different tactical and pedagogical approach to engagement with white young people. It targets those young people seen as ‘vulnerable’ to far-right messages, not necessarily because of overt racist behaviour but because of educational and employment disengagement and community contexts where racist and xenophobic ideologies are being actively promoted. Rather than judging or condemning the young people, the Think Project team encourages them to share their (often highly racist) views and feelings about ‘others’. These views are listened to respectfully and are critically analysed in open, facilitated dialogue. Part of the Think Project’s programme is to support trigger material with real, human material – asylum seekers or local Muslim residents are invited in to tell ‘their story’ to the group and are willing to answer questions. Alongside this, the ethnically-mixed staff team use their own varied life experiences as a tool and demonstrate cross-ethnic friendship and teamwork in practice. Crucially, for many of the young people involved, this will be the first time that they have had the opportunity to engage with people who are different from themselves and to confront their own prejudices and stereotypes through real experiential learning. The aim of such work is not just to ‘educate’ the young people but to give them respect, understanding and support as they develop their own critique of racist messages circulating in society. Evaluatory evidence from the young people demonstrates the effectiveness of such work, and explains the strong support for the Think Project from the Welsh Assembly Government, Police and local authorities in Wales. Other areas of the UK need to learn from this successful example of anti-extremist educational work and implement it in their own areas. The Think Project is currently developing a second stage whereby they will support other areas to develop such work under licence, with a key focus on training and mentoring the educational practitioners to be involved. We argue that the Prevent strategy should be supporting this development and targeting white young people attracted to racist ideologies. We do not suggest, however, that the Think Project is enough on its own to stem the rising Far Right propaganda, but it points the way for working with young people - of all backgrounds and beliefs - that have never had the opportunity to experience other cultures and viewpoints and may be drawn towards simplistic and extremist ideology. It could be a basic first step as part of mainstream educational experience to help us all come to terms with the new era of globalisation and diversity.